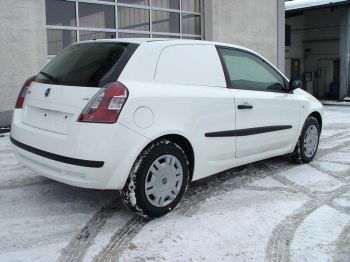 Fiat Austria are now offering from this week the Fiat Stilo 3-door in an exclusively converted van option, which is being sold through the local dealer network. The new Stilo van, now joins the popular-sellng Punto van in their light commercial vehicle line-up, with the conversion being carried out by Salzburg-based, Lagermax. The cost of the conversion is under two thousand euros plus taxes, and the Stilo vans are then delivered to the customer with commercial vehicle type plate designation. 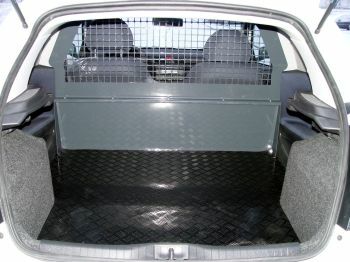 The change to van format involves the installation of a new durable metal partition, in the form of a solid metal plate within the lower range, and a lattice above, located behind he two front seats. The rear side windows are replaced by bonded metal panels in the colour of the vehicle. The rear seat is also removed and replaced by a new auxiliary plate with a rubber finish that covers the full loading area.. 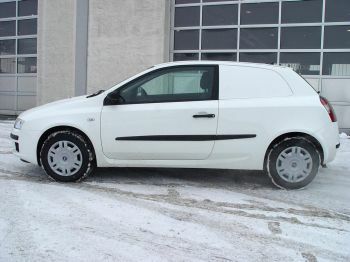 The rear seat belt attachments and the points of assembly for the rear seat are converted to commercial vehichle regulations, and Lagermax, under instruction from Fiat Austria then ispose of the removed parts: rear bench, rear seat belts, rear side windows. The time taken for this conversion to be carried out by Lagermax is around 20 working days. Lagermax was actually founded in 1920 as the Lager warehouse and carting business in the Maxglan district of the city of Salzburg. In the areas of forwarding, car transport and logistics Lagermax is today the largest company in Salzburg. In recent years they have carried out a policy of expansion into Eastern Europe and today they have their own branches in Bosnia-Herzegovina, Bulgaria, Croatia, Romania, Serbia-Montenegro, Slovakia, Slovenia, The Czech Republic and Hungary.